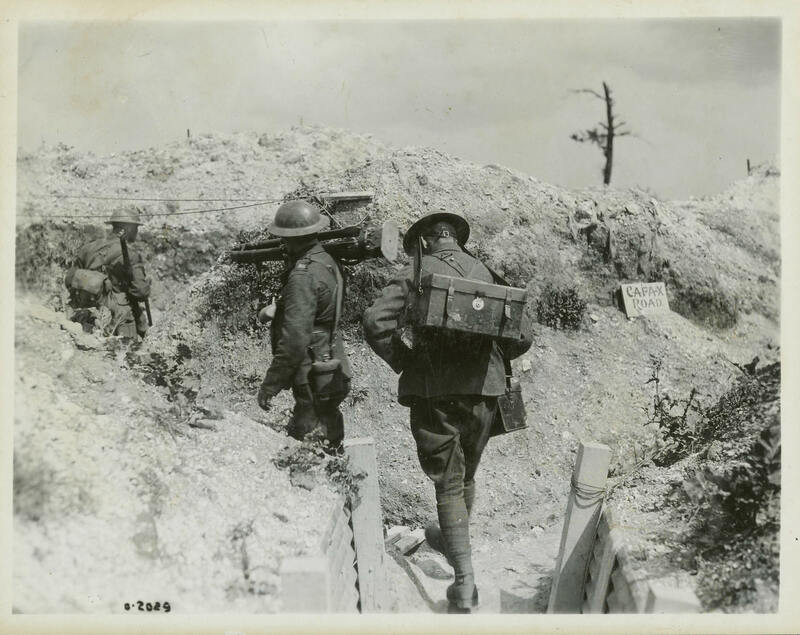 Members of a Canadian War Records Office camera team carry their equipment up the line. Official photographers had free reign to shoot all aspects of the war, but were encouraged not to photograph the Canadian dead. Smoke, explosions, unwieldy equipment, and the dangers of enemy fire prevented them from taking many images of front line combat.